For nurses with a master’s degree in nursing or a master’s degree in another discipline, graduate certificate programs are offered in Nursing Leadership and Nursing Education. Each requires 12 semester hours of work and can generally be completed in one year. The certificates are designed to provide relevant transfer credit into other graduate programs. Additionally, a certificate program is offered in Nurse Anesthesia for nurses with a MSN in another specialty. The Graduate Nursing Leadership Certificate is an alternative for individuals who desire leadership and administrative knowledge but are not necessarily interested in completing another graduate degree. 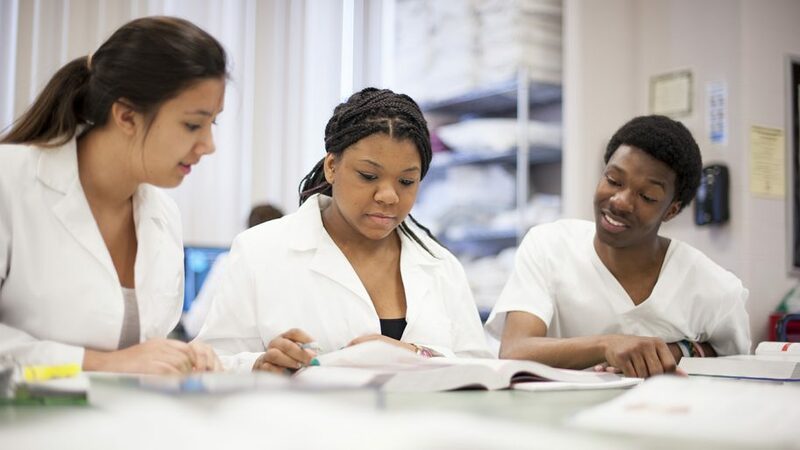 The Graduate Nursing Education Certificate is an alternative for individuals who desire the knowledge, skills and ability to teach in a variety of settings but are not necessarily interested in completing another graduate degree. The Graduate Nurse Anesthesia Certificate (GNAC) program is designed for nurses who have a Master’s Degree in Nursing with a concentration in areas other than nurse anesthesia and want the knowledge, skills and ability to become a Certified Registered Nurse Anesthetist and provide anesthesia in the clinical setting. Graduation from a nationally accredited MSN nursing program. A Master’s degree in Nursing from a regionally accredited college or university. Degree must be completed and final transcripts submitted prior to the application deadline. Complete and submit the Graduate Application for Admission and pay a non-refundable $50 application fee. For more information please contact Student Accounts at 419-824-3696. 1. A current peer who works alongside the candidate. 2. An immediate supervisor, someone who performs or can evaluate the candidate in the work place. 3. A physician, Nurse Practitioner, or Physician Assistant the applicant has worked closely with in the critical care area. Submit a current curriculum vitae or resume. Candidates must have a minimum of 1 year as a Registered Nurse (RN) in a critical care area. Critical care areas include SICU, MICU, CICU, NICU, PICU, Neuro ICU, and ER. ER nursing will be considered as fulfilling this requirement and will be individually considered based on the acuity/intensity of the ER. NOTE: The administration of the Nurse Anesthesia Program reserves the right to offer and allow adjustments to the admission requirements or processes on an individual case basis while remaining consistent with the University’s policy of nondiscrimination in its admission processes. Complete Admissions requirements can be found in the Academic Catalog. Students who are accepted into the GNAC program will be certified for employment as a Certified Nurse Anesthetist after passing the National Certification Examination. Learn more about Program Costs and Employment Opportunities and about jobs related to this program.